Most people’s feet have a space on the inner side where the bottom of the foot is off the ground (the “arch” of the foot). The height of this arch varies a lot from one person to another. Small children do not have an arch: it develops between the ages of 3 and 10. People who have a low arch, or no arch at all are said to have “flat feet” or “fallen arches”. In many people, that is just the shape the foot is. It may run in the family, and both feet are usually much the same and reasonably supple. Rarely, the flat foot shape is due to something wrong with the way the foot formed in the womb; a joint may be malformed or two or more bones may be fused together. These feet are stiff and flat and the problem is usually obvious in childhood. In other people, the foot tends to roll in too much on standing or walking. This may be due to lax ligaments in the heel (subtalar) joint or at the base of the big toe, which allow more than the normal amount of rolling in of the foot. As rolling in of the foot is known as “pronation” these people are said to have an “over-pronated foot”. Due to the rolling in of the middle of the foot, the heel usually points outwards more than normal, as does the front of the foot. These people often have lax joints in other parts of their body too. This is the usual reason why children have no arch in their feet: children tend to have looser joints than adults. As they get older their joints tighten up and, in most children, an arch appears. The best way to tell if a person has mobile over-pronated feet is to stand on tip-toe, or to push the big toe up as far as it will go. If this causes the arch to appear, the foot is flexible and probably basically normal. The people referred to in the above paragraph have always had flat over-pronated feet. However, occasionally a flat foot develops later in life. This may be due to a ruptured tendon (the tibialis posterior tendon), or arthritis or an injury causing stiffness and distortion of the joints of the foot. Some people with diseases of the nervous system or muscles such as cerebral palsy, spina bifida or muscular dystrophy may develop flat feet because some of their muscles are weak and their muscles do not work well together. Their feet are usually stiff and the deformity tends to get worse with time. tends to get worse with time. I have flat feet. Will my children have this too? Possibly. It depends on why your feet are flat (see the section above). However, most flat feet are just shaped that way or are mobile over-pronated feet in people with relatively lax joints. Both of these tend to run in families. What trouble do flat feet cause? Usually none! Some people with flat feet get aching in the arch, around the ankle or down the outer side of the foot, but all these can occur in people with “normal” arches too. People with very over-pronated feet tend to wear shoes out very quickly. When should I consult professional help? What can be done about flat feet? In most cases, no treatment is needed as the flat feet cause no trouble. Most people whose flat feet ache feel better in well-fitted shoes: sometimes an extra-broad fitting helps. If you have troublesome mobile over-pronated feet, an insole, which prevents your feet rolling over so much, can help a lot. This would normally be provided by a chiropodist. 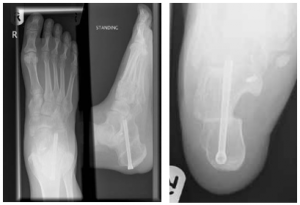 Children who have an abnormal foot because it has not developed properly may need an operation to straighten the foot or to separate fused bones. These are rare causes of flat foot in children: most children have mobile flat feet which need no treatment, or occasionally an insole because of pain or shoe wear. People with flat feet due to a disorder of the nervous system may need special insoles, shoes or braces to support their feet or legs. A number of these people will need an operation to straighten their feet. A flat foot due to a ruptured tendon or arthritis may be treated with painkillers and an insole in the first instance. Some of these people will need an operation to straighten their foot. 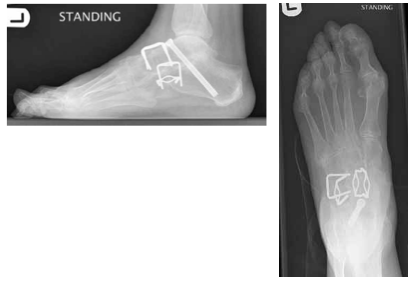 What operations are available for the treatment of flat feet? 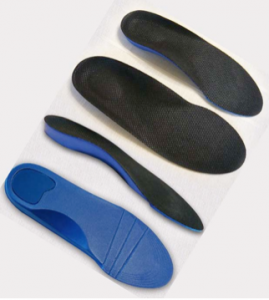 If conservative measures are not working and your flat feet are causing you significant pain and stiffness, there are a number of operations that can be done to help with your flat feet. This is good for “flexible” flat feet are correctable. If there is already arthritis or “wear and tear” in some of the joints in the foot, then fusion of these joints will help with the pain. This is called a triple fusion and is a big operation that takes weeks to months to recover from. GMC Number: 5205970. Date of Registration: 21st March 2003. Check this Doctor's GMC Registration. © 2019 Jitendra Foot Surgeon. All rights reserved. Built by Three Thinking Co.